Treat yourself to a memorable moment of relaxation in our sauna with a view on the renowned Prosecco vines. The sauna, born in Finland and known for its therapeutic virtues, is characterized by a heat bath carried out inside a wooden cabin. The indoor air is kept at a temperature that varies between 60 and 100 degrees, and the humidity is very low, so that the sweat evaporates and the skin does not heat up too much. 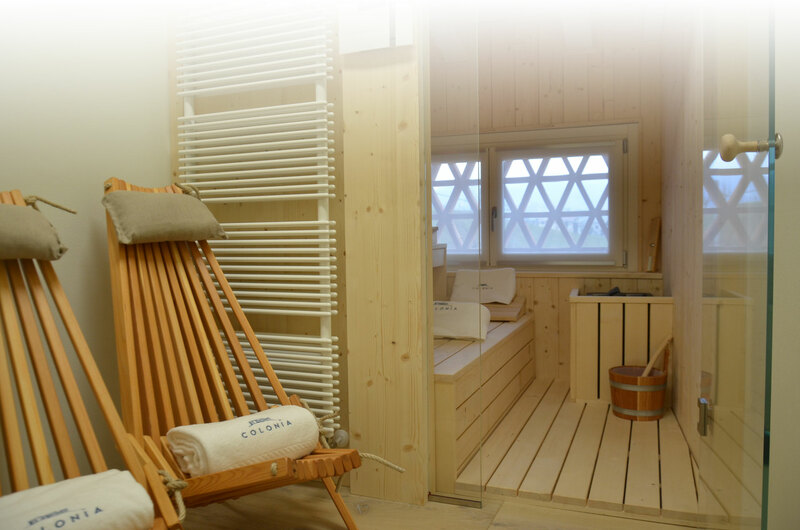 The advantage offered by the sauna with its dry air at very high temperature consists in the ability to quickly bring the body to the expulsion of considerable quantities of toxins and the intense heating of the body. The sauna offers multiple benefits to people of all ages, with very few exceptions. However, those who start using the sauna must bear in mind that the body needs some time to get used to certain stimuli, so making the sauna requires a bit of caution, and it is recommended to face the heat bath following the recommended steps without ever overdo it, to allow the body to fully enjoy the benefits of the sauna.